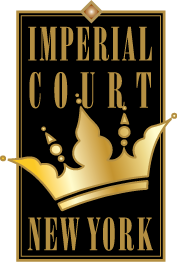 It’s time for the Court’s annual Holiday Party! Celebrate the reign of Empress XXXII Gaye Banter and Regent Emperor XXVII Rob Hunter de Woofs. 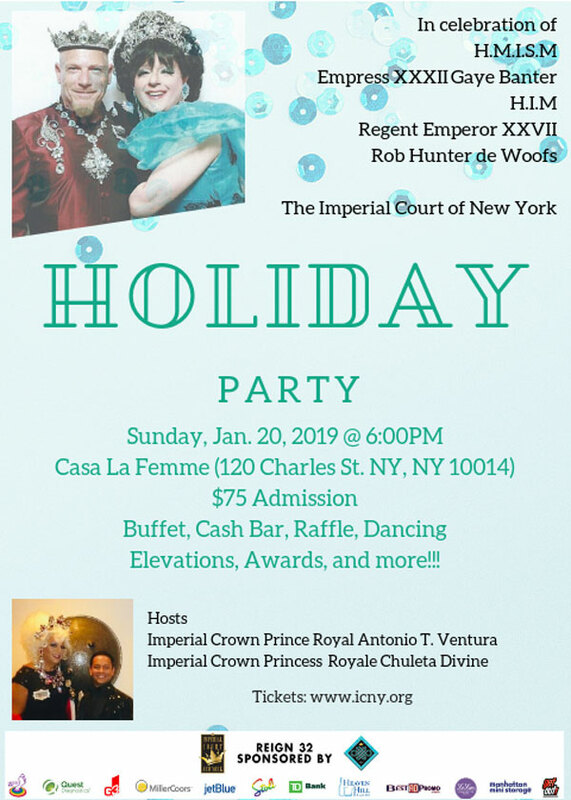 Your hosts will be heirs apparent Imperial Crown Prince Royal Antonino T. Ventura and Imperial Crown Princess Royale Chuleta Divine. Buffet, cash bar, raffle, dancing, elevations, awards and more!